The cost of education has been rising in Florida and around the country. Collectively, Americans currently hold more than $1 trillion of student loan debt. In the modern world, many people carry their student loan debt for decades. Further, more than ever, older Americans are going back to school and incurring additional student loan debt. 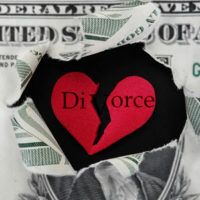 This has made student loan debt a big issue in many Orlando divorce cases. Is a Student Loan ‘Marital’ Debt? The answer is that it depends. Sometimes student loan debt is marital debt; in other cases it is considered separate debt. As a general rule, student loan debt that was incurred prior to a marriage is considered to be separate debt, whereas student loan debt that was incurred during the course of the marriage will require a closer review. That type of student loan debt could go either way, depending on the circumstances. However, dividing up student loan debt in divorce is also far more complicated than that. This is because student loan debt must be placed into the larger framework of property distribution. Under Section 61.075 of the Florida state statutes, both marital assets and liabilities are subject to equitable distribution. This means that a court will divide both property in debt in a manner that is ‘fair’. A fair division of assets and debt does not also mean an equal division of debt. Indeed, it could be quite the opposite. As such, student loan debt could be distributed in any number of ways depending on the exact circumstances of the couple in question. Further, even when the student loan debt is separate debt, it could impact what type of asset division the court views to be ‘equitable’. When was the student loan taken out? Who benefited from the student loan? A student loan often benefits people in the form of either higher earnings or higher anticipated future income. Of course, this means that the overall circumstances surrounding the loan matters. For example, if the loan has become a burden, with no increased earnings for any party, then it may be treated differently than educational debt that has helped propel one spouse to far higher earnings. At the Law Offices of Steve W. Marsee, P.A., we have considerable experience handling debt distribution in Florida divorce cases. To learn more about what we can do you help you, please do not hesitate to call our team today at 407-521-7171 to request your fully confidential initial family law consultation. We proudly serve individuals and families throughout Central Florida, including in Orange County, Lake County and Seminole County.